October 8 marks the death anniversary of the civil rights activist K Balagopal. It is eight years since he died yet his writings are prescient for what they tell us about our social and political realities. Indeed, today it appears important to reference his classic essays on fascism in India – Rise of Gangsterism in Politics, written in February 1989, and Why Did December 6, 1992 happen ? , written in April 1993. Rather than take us through the ideas of European fascism, Balagopal calls attention to historical detail, to what makes fascism a political option in India. He reminds us, in his 1989 article, that fascism is both reactive and proactive: it is a response to a ruling class that cannot get its act together and has to settle its contradictions through violence on the street. In the 1980s, at the dawn of the neoliberal era, when bureaucratic capital had to battle an indignant class of capitalists and heed the World Bank and the International Monetary Fund, the ruling class “resolved” the crisis in its ranks through political gangsterism. Thus, hoodlums turned legislators, acting as hatchet men for their ruling class bosses. the Defamation Bill; the Postal Bill. This period also witnessed the murder of dissenters such as the playwright Safdar Hashmi and the journalist Umesh Dhobal. 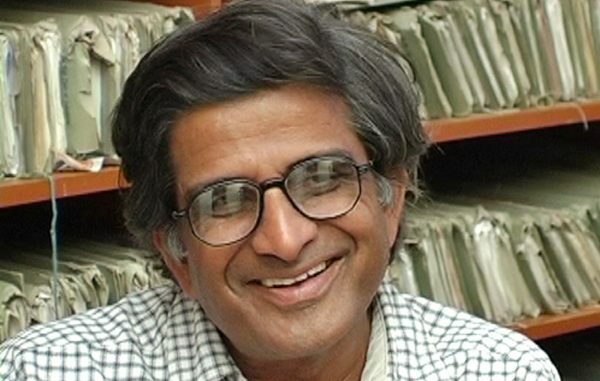 If we extend Balagopal’s reasoning it becomes evident that in today’s context political gangsterism is expressed not only through acts of crude violence – as, for instance, in the 1980s Andhra Pradesh – but also via unprincipled and cynical political dissembling – as in contemporary Tamil Nadu – and achieves much the same ends as political violence: subversion of democracy in a state, frozen into an economic and democratic impasse if not crisis. At the national level, we find something different at work: in addition to vigilante killings, there has been an upscaling of gangsterism, in that today’s gangsters are technically advanced, educated lumpens, internet trolls who pour hate into our inboxes as they attempt to counter dissent and critique of the ruling classes and their political leaders and ideologues. As for the state, it continues to enact legislation that secures legal defence for the indefensible such as the laws against cow slaughter. But law and policy are also being put to use through other means. For one, those who follow the ruling party’s dictates rework procedural rules to secure their authority, such as we see happening in academic institutions and the financial sector. Of particular concern in this context are decisions to do with the economy, which are justified in the name of the national good, efficiency and as attempts to get a “moral” grip on a corrupt economy. It is clear that such decisions are unlikely to benefit anyone except those who can use the rule of law to get away with what can only be described as savage primitive accumulation (such as we see in Chhattisgarh, Odisha and Jharkhand), dispossession of worker rights (across the country), and the garnering of surplus through speculation, particularly in real estate (also a nation-wide phenomenon). In today’s context, the expression of resentment has become formalised; acts of violence against those who are resented are allowed with the ruling dispensation’s silent approval. Attempts to redress this huge moral deficit through heart-to-heart talks with the nation – where banal beliefs about growth and progress are routinely mouthed – represent another sort of formalism, at once cynical and deadening. But then what can we expect from a framework “that cannot express any liberating ideal, but can sanctify every suppressive injunction, everything that is negative and inhuman”. The only option left then is to continuously build a politics of hope, and the onus is on democratic forces. Such forces, Balagopal somberly observes, “have the task of devising a strategy that will defeat the seemingly natural process by which one underprivileged group sees another slightly more or less underprivileged as its enemy. They can neither be dismissive of the need to fight for equality and justice at all levels, nor of the need to create a real unity of the oppressed”.